This is a rectangular Acme Quality Paints porcelain sign. This particular Acme Quality Paints sign features a white paint can with an orange background. 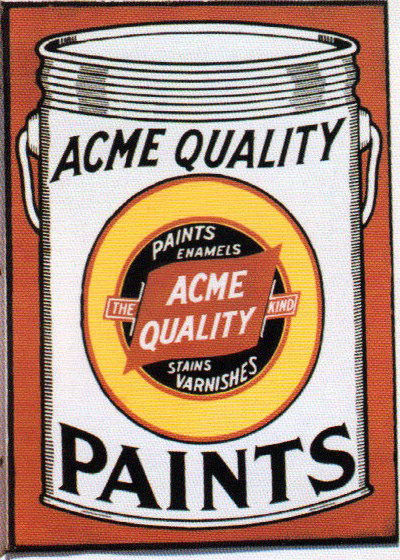 It reads, “Acme Quality, Paints, Enamels, The Acme Quality Kind, Stains, Varnishes”.